Money Making Coffee at CVS Starting 7/28! 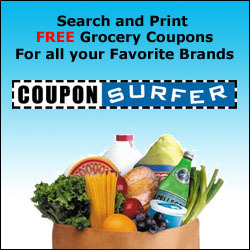 Print this $1 coupon before it disappears! You will be able to snag a Money Maker at CVS starting 7/28! Buy 1 Starbucks Iced Coffee, Get $1.50 ECB $1.00 off Starbucks® Iced Coffee Coupon Final Price: FREE + $1 Moneymaker! Possible Huggies Diapers as low as $.33 cents at CVS!? $5 Money Maker at CVS!